Sign Up for free to save time shopping Apothecanna's wholesale products on LeafLink. Apothecanna is one of Colorado's oldest and most trusted purveyors of all natural plant based beauty and wellness products. For over ten years our products have been centered around wellness, community and a commitment to quality. We view plant-based health as a natural extension of your daily life and we work to help people discover the beauty and traditions behind the use of cannabis. Our commitment to quality means that we have thoughtfully sourced organic and wildcrafted essential oils from their native regions of the world. Every ingredient we use is an 'active' ingredient for a specific therapeutic purpose. We do not use artificial ingredients, fillers, parabens or GMO ingredients. #1 Best Selling Topical/Transdermal of LeafLink List 2018! 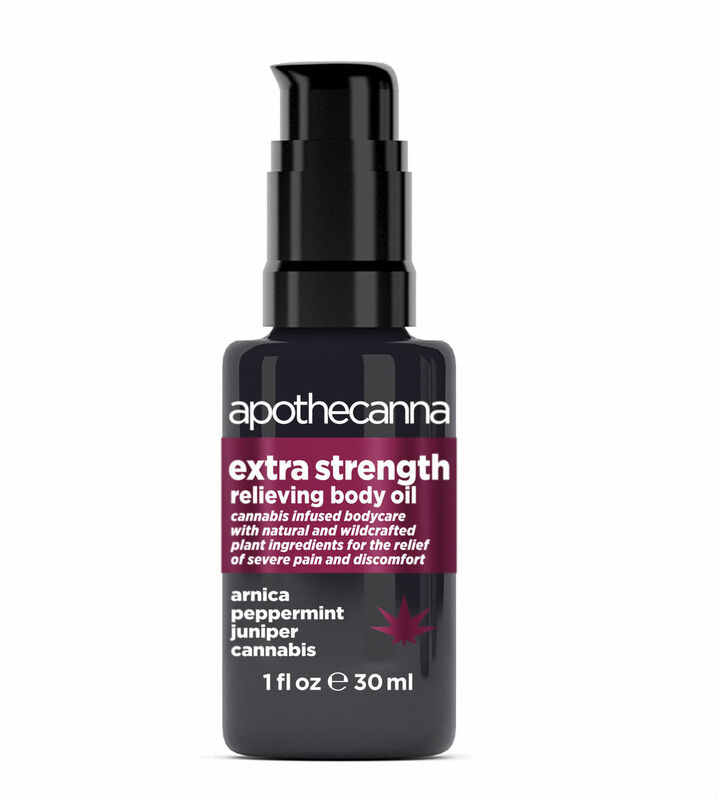 Double strength, fast acting, pain relieving body oil with organic essential oils and anti-inflammatory plant extracts. 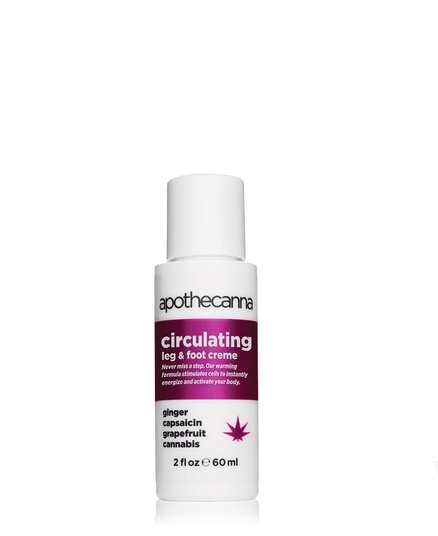 Cooling and invigorating, perfect for use on sore muscles, swollen joints and distressed skin. Use with full body massage or apply directly where it hurts. Intense moisture, fast acting, deeply penetrating relief. All skin types. Ideal for dry climates and after sun. Peppermint, juniper and arnica provide fast acting relief from pain and inflammation along with relieving severely dry skin and irritation. Intense moisture, cooling, fast acting relief from pain and irritation. Sensual and arousing intimacy oil with exotic and wildcrafted plant ingredients to enhance sensitivity and increase blood flow. Use privately or with a partner. Jasmine, coconut, argan, and cannabis combine to create a delicate oil with an arousing floral aroma. Creates a soft glide and entices an uplifting, happy mood. Use 15 minutes before intimacy. Massage lightly to neck, chest, and other erogenous zones. Reapply as needed. Deep and fragrant jasmine aroma. Moisturizing body cream with anti-inflammatory plant extracts. Cooling and invigorating, perfect for use on sore muscles, swollen joints and distressed skin. Use with full body massage or apply directly where it hurts. 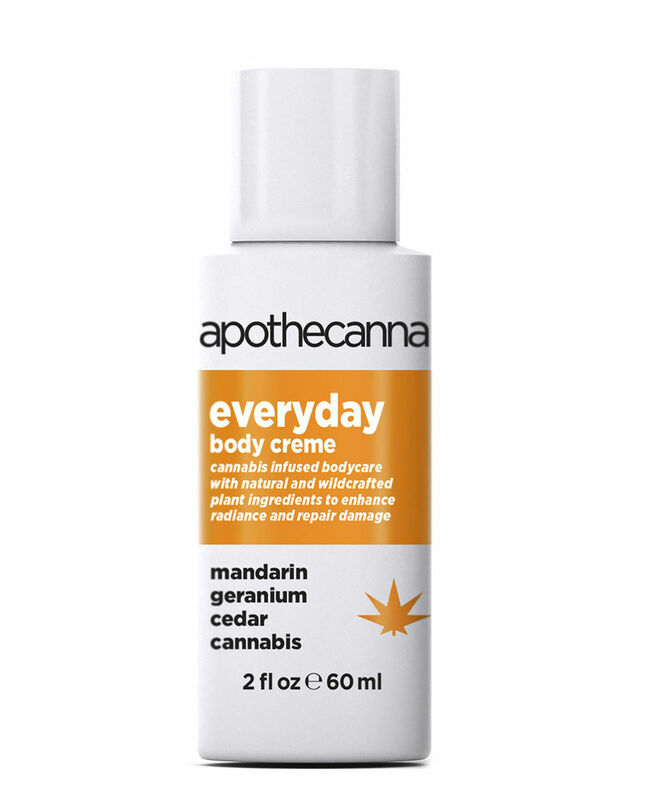 Peppermint, juniper, arnica and cannabis provide fast acting relief from pain and inflammation along with relieving severely dry skin and irritation. Moisturizing body cream with calming plant extracts. Meditative and relaxing; use during times of stress, before bed and to treat topical irritation. Use with massage to ease tension or after physical activity to calm the body and senses. 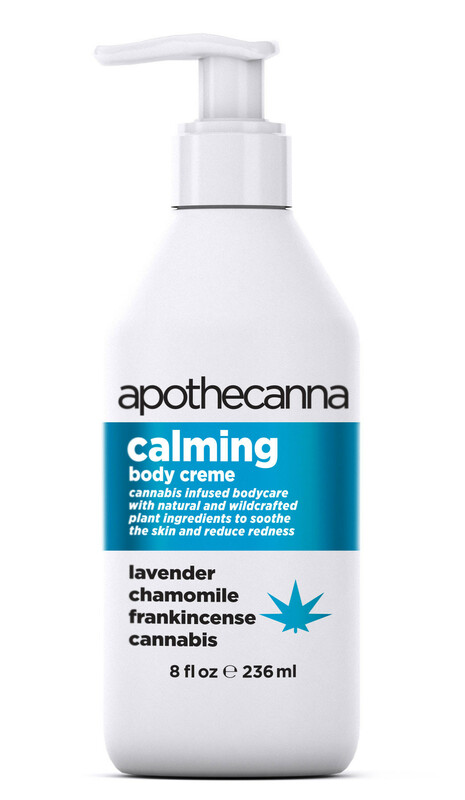 Chamomile, lavender, frankincense and cannabis combine to create a sense of well-being, relieve anxiety and to ease physical tension. Ideal for athletes, travelers and anyone looking to help increase circulation. 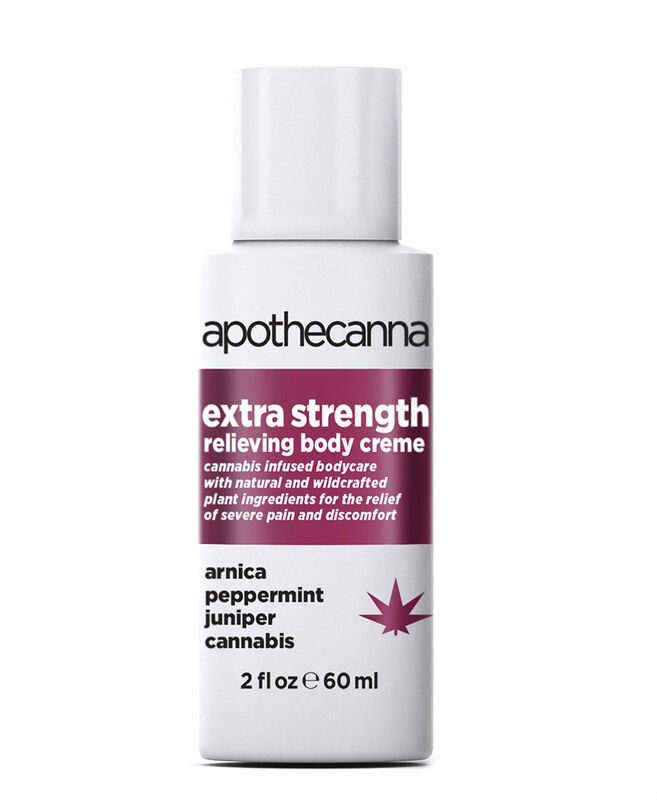 Warming botanical extracts capsaicin, ginger and grapefruit help stimulate blood flow to awaken tired limbs. Best used prior to physical activity or as a morning wake up call to help stimulate blood flow throughout the body, reinvigorating legs, feet and hands. Awaken the body. Simply apply to legs, feet, hands and anywhere that needs warming up so you can keep going. Intense moisture, warming sensation, helps stimulate blood flow. This refreshingly scented body cream boosted with mandarin, cedar and geranium alleviates dryness, hydrates and relieves tension. Massage desired amount from top to toe, concentrating on dry areas such as elbows, knees and feet. Use after shower for all-day moisture. say no to bugs — our all-natural, 2-in-1 spray repels bugs while relieving itching, swelling and redness from pre-existing bites. Spray and relax. The pleasant-to-humans (but not to insects) scent of this perfectly balanced essential oil blend naturally keeps pests at bay. Eucalyptus and peppermint up the ante on the bug-repelling properties of citronella, creating an aroma defense barrier that no bug will want to cross, while healing tea tree oil relieves itching and irritation from previous encounters. A perfect balance of essential oils designed to fend off insects while nourishing the skin. A soothing, fresh-smelling alternative to traditional bug sprays that contain DEET and other toxic chemicals. Outdoor enthusiasts (whether that means porch lounging or camping, fishing and hiking) looking to avoid itchy bug bites with pure, natural ingredients that are safe for the whole family. Naturally repels insects from landing while simultaneously soothing existing bug bites. Spray liberally on exposed skin, hair and clothing 15 minutes prior to going outdoors. Reapply every two to three hours or as needed. 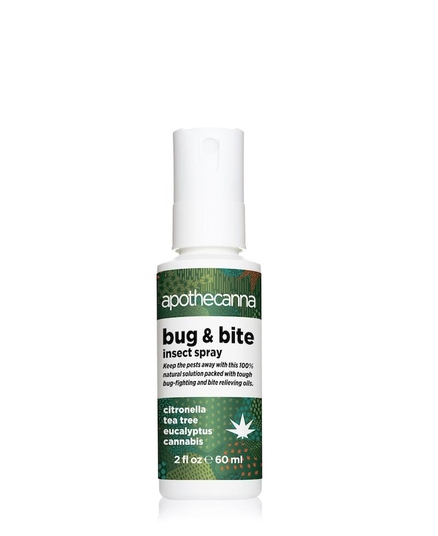 Spray on existing insect bites to relieve itchiness and inflammation. Everywhere. Mist from head to toe and surrounding areas to create an invisible bug barrier. Don’t worry, it won’t stain your clothes! 2-in-1 action. Repels bugs and relieves itchy bites without the unpleasant fumes, sticky residue, or synthetic chemicals that contaminate soil and water and seep into skin.